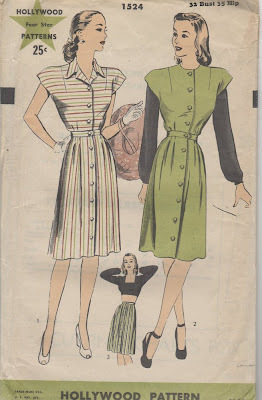 Swing back to the 1940’s when Hollywood Patterns was in its heyday. Mirroring the looks and keen fashion sense of Hollywood Stars, these beautifully designed patterns enabled women all over to add a flash of glamour to their wardrobes. 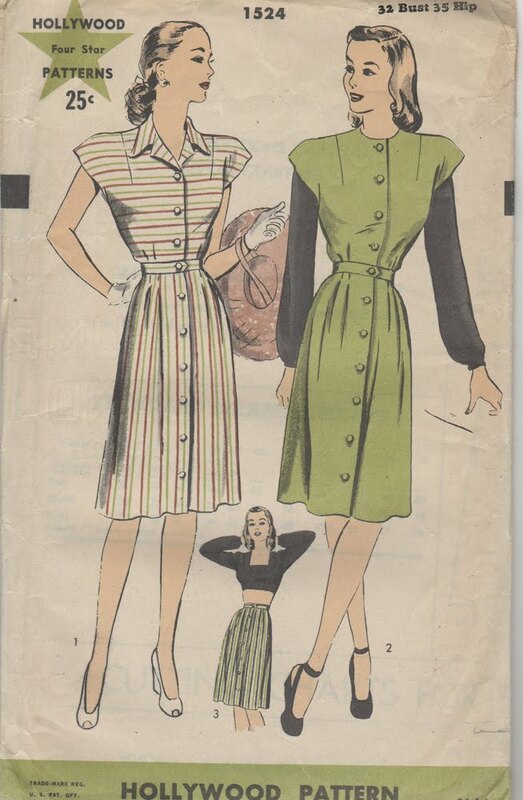 This pattern features a daring (for the time period) midriff or crop belly blouse that was paired with a lovely skirt with front button opening. Cap-sleeves on the dress emphasize the bodice front and bust line for figure flattering emphasis.